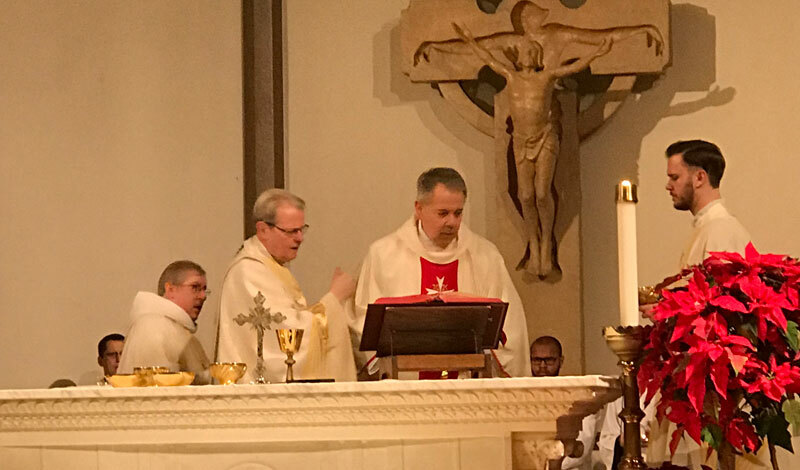 Bishop Edward Scharfenberger, Conventual Chaplain from Upstate New York, was the Principal Celebrant and Homilist. He said that many of today’s generation of young people have rejected the views on abortion espoused by their parents’ generation. He told the attendees that as science has progressed, the evidence has become more incontrovertible that life begins at conception. 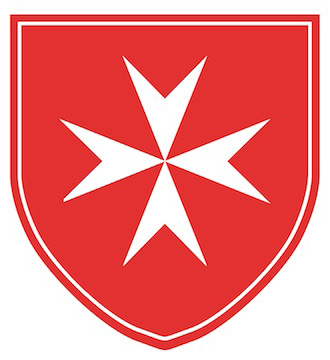 President Peter J. Kelly, MD, KM led the church in the Daily Prayer of the Order. It was a sign of hope that many young people joined in the prayer. 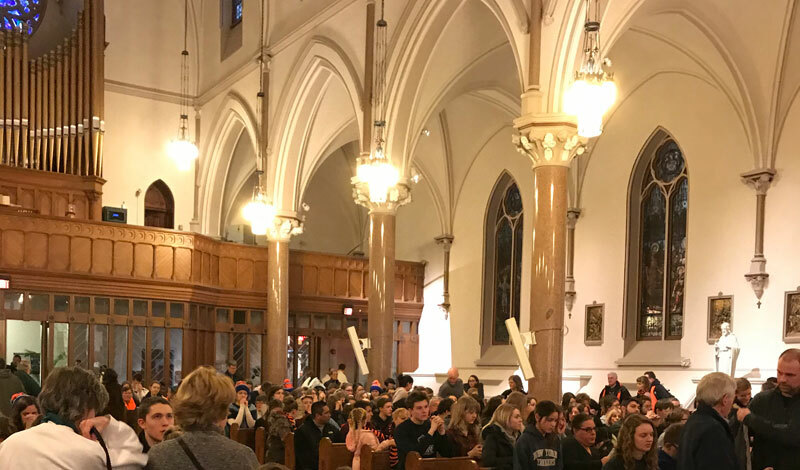 After Mass, pilgrims returned to the hotel for breakfast together before departing for the National Mall for the 45th Annual March for Life. 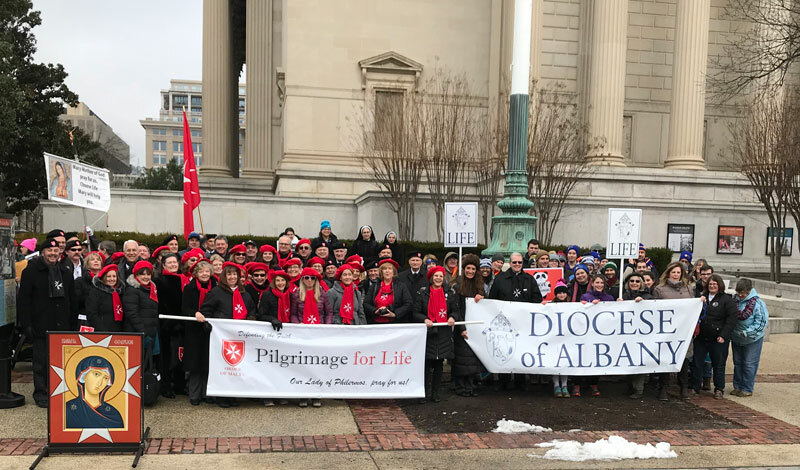 Knights and Dames from both Associations gathered under the Icon of Our Lady of Philermo and joined the peaceful and joyful pro-life throng, moving along Constitution Avenue up to 1st Street, where they turned to pass in front of the Supreme Court. Pilgrims then stopped to pray the Rosary and join in song praising Our Lord and His Blessed Mother. After the March for Life, Knights, Dames, family, and friends reconvened for lunch at the Capitol Hill Club. This evening’s 37th Annual Rose Dinner will conclude the 2019 Pilgrimage for Life in Washington D.C.
Click here to view a recap of Day 1 of the 2019 Pilgrimage for Life. 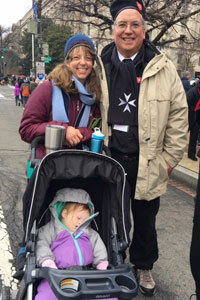 Click here to read more about the Pilgrimage for Life.